The first week of Softball Bermuda’s 2018 season is in the books with a couple of teams dominating their games. 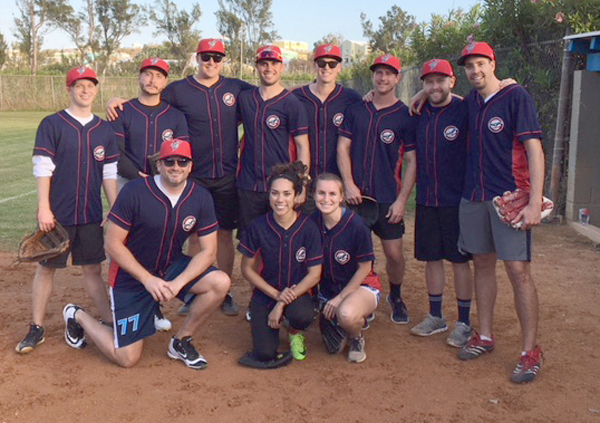 X-Bats took on FIU-Scared Hitless in the opener on Monday in a B Division contest. X-Bats quickly put this one out of reach with an 18-1 mercy win. In the women’s division, Hardknockz managed a slim 16 to 15 victory over league favourites Angels. Hardknockz jumped out to an early 10 to 1 lead before Angels clawed their way back to tie the game at 15 in the top of the seventh. Hardknockz won on a walk-off single. Monday’s nightcap saw PHZ Zebras race out to a 24 to 3 triumph over Outback Skylights. Outback had difficulty finding the plate, which saw PHC get many walks. Tuesday’s games were postponed because the field was too wet from the overnight rain. Only one game was played on Wednesday as the Athene Warriors doubled up KPMG 10 to 5 in the Corporate Division. The next two games were rained out as the infield grew too muddy. Blue Wahoos earned promotion to the A Division, but it was a rough opening match for them as they were routed by Docksiders 22 to 7. B Division club Hakuna Matata Charters put up a good fight against the A Division’s Paraquet Flyers but went down to defeat 28 to 20. Teams will swing back into action on Monday night at Bernard Park with Beach Bums taking on Chubb kings at 6 pm then followed by The Corporation of Hamilton versus Sunglass Shop at 7:30 pm before the action finishes off with the FIU – Scared Hitless battling Platano Power at 9 pm.